Pores don’t belong in your selfie, and the new primer mask from e.l.f. Cosmetics is just the solution to banishing the pesky buggers. The innovative Pore Refining Primer Sheet Mask will render your photo filters obsolete, and that’s a 2018 goal we can get behind. The single-use sheet mask promises to minimize the appearance of pores while brightening skin for a radiant complexion. Apply before makeup for a perfectly primed face, without the use of a cream or oil primer. It’s so easy, and it eliminates a layer of product. Plus, since it’s a mask, you can totally do other things while you’re wearing it. The cruelty-free, vegan product is packed with vitamins B3 and C to brighten and smooth dull skin. Hyaluronic acid delivers serious moisture with age-defying benefits. To use, apply the sheet to clean, dry skin, leave on for five minutes, then rinse and dry before applying foundation. It’s ideal to use once or twice a week, especially before a special occasion when you need your face to be flawless. As usual, the price point is crazily affordable. The wallet-friendly brand is offering a single mask for just $2, and a three-pack for $6. Prime your beautiful canvas with this bad gal. Fresh, clean, bright, and easy. We need this mask ASAP. E.l.f., you’ve done it again. 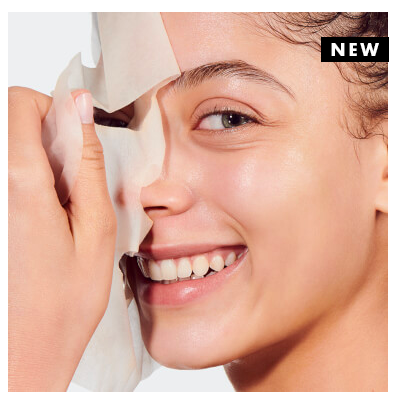 Buy the Pore Refining Primer Sheet Mask ($2, or three for $6) now on elfcosmetics.com and in e.l.f. stores.